Chautauqua Lake Erie accommodations - a Westfield NY Bed and Breakfast and an extended stay Vacation Rental near Chautauqua Lake and near Chautauqua Institution, in the heart of the Wine Trail. Candlelight Lodge offers seven spacious suites with private baths, fine antique furnishings and modern amenities for the ultimate romantic getaway. Candlelight Lodge Bed and Breakfast is located in the heart of historic Westfield New York on two landscaped acres. Candlelight Lodge became a Western New York State Lodge in the 20's and a New York B&B in 1986. The Captain Storm House was moved to Candlelight Lodge property in 2000 with two, three or four bedroom suites all with large modern Kohler baths, the whole house can be rented for a special price as a Vacation Rental offering exclusive privacy. 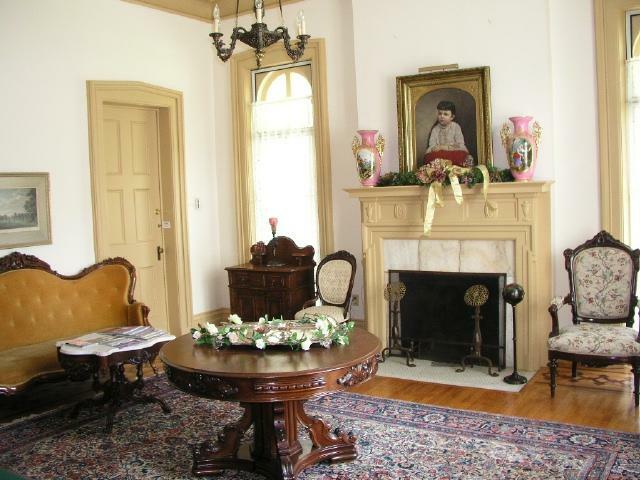 Candlelight Lodge bed and breakfast is an 1851 brick Victorian mansion located in the heart of the village of Westfield with a special listing on the National Register of Historic Places. 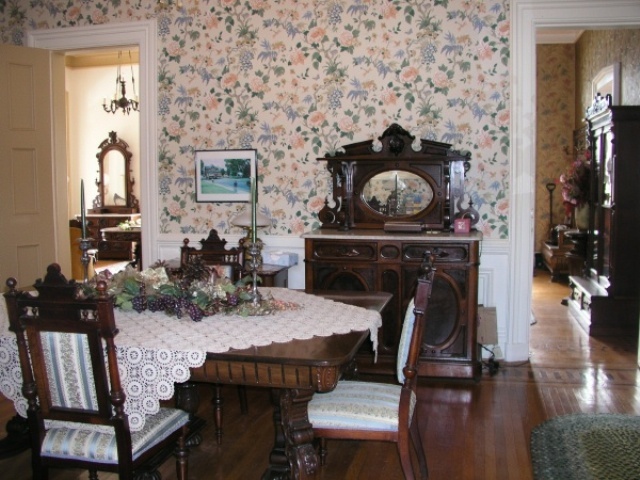 Candlelight Lodge, a B&B since 1986, is the oldest continuously owned bed and breakfast in Chautauqua County and is the only B&B within the village. Guests of our Chautauqua B&B can walk to the Village Park and shops. Within one block are convenience stores, banks, a full service grocery store, fast food, medical center, post office and pharmacy for additional needs. Within two short blocks is also Westfield Memorial Hospital. Several choices for fine dining can be found within a few blocks to a few miles of our Country Inn. There is also during the summer an award winning Farmer's Market Saturday morning in the Village Park, two blocks away. Candlelight Lodge B&B, along the Chautauqua-Lake Erie Wine Trail (40 mi. ), has all 25 wineries within 20 miles. There are 5 major wineries within 4 mi. of our two accommodations. Candlelight Lodge, a Chautauqua County B&B, is within one mile of Lake Erie and Interstate 90 (Exit 60). Candlelight Lodge is conveniently located 5 miles from Chautauqua Lake and 15 minutes from Chautauqua Institution. When visiting bring your bicycles and enjoy our Victorian town's historic architecture and scenic surroundings as well as Barcelona on Lake Erie, one mile away. Enjoy Barcelona's Harbor, Daniel Reed Pier and see the oldest gas Light House on the Great Lakes. Walk the Lake Erie shore and enjoy magnificent sunsets. Candlelight Lodge which we purchased in 1986 and converted to a B&B has seven spacious suites, formally efficiency apartments and one bedroom, each with elegant antique furnishings and all with private baths ideal for a single night or longer term extended stay vacation rental by the week at a discounted price. Candlelight Lodge suites all have fine antique furnishings with desks, queen beds, private baths, AC, DirecTV with premium channels, Wi-Fi, mini refrigerators, coffee machines and microwaves. Four of our larger B&B suites are appropriate longer term vacation rentals for 3 nights at a reduced rate or by the week at a further reduced price with no NYS sales tax (8%). These suites are small efficiencies with mini-kitchens, sitting areas and private baths, also ideal for the business traveler. Four of our suites have real fireplaces with gas log inserts and there are three additional fireplaces in public areas. We offer three choices for breakfast in the area. In Westfield within two short blocks of our Inn, easy walking, is an original 1950's Main Diner with a broad menu and generous portions. You can also have breakfast on Lake Erie (1 mi.) in Barcelona at Jack's and enjoy Barcelona's wonderful historic light house and pier. Your third choice is the J&B Mayville Diner in Mayville on Chautauqua Lake (5 mi.) on your way to Chautauqua Institution. Each of these three locations specialize in breakfast and we offer an $18 certificate per couple for breakfast or for late risers, lunch. For more information see Breakfast under Policies below. Our Country Inn has 13' ceilings upstairs and down, spiral walnut staircases, interior columns, inlaid floors, magnificent 10' arched windows, ornate woodwork and cast iron appointments. Candlelight Lodge Bed and Breakfast has a large parlor and reception room down stairs in the front, each with 10' French doors opening on to cast iron balconies. There is a formal dining room and a sun room. Candlelight Lodge has 7 fireplaces, 3 within suites. Outside you will a find a large formal covered patio and a second large open patio. There is also a private porch and picnic tables on a spacious lawn. Reservations for certain suites at the Candlelight Lodge usually requires a two night minimum on many major holidays, summer and Wine Trail Weekends. For Weekly Stays in our four Vacation Rental Suites with kitchens there is no 8% NYS sales tax. There is a discount for longer term stays or there maybe for special accommodations. In using the Reservations and Availability link with Webervations you may need to contact us directly by telephone at 1-716-326-2830 for this discount. We offer suites not rooms with more spacious accommodations. We have quality antique furnishings and each suite also includes more modern amenities such as a microwave, DirecTV with premium channels, wireless, AC, mini-fridge and coffee machine. Still, we only accommodate two guests per suite. Children over 14 are welcome as guests, sorry no pets. We have four suites which will accommodate a third person and all of our suites require, if there is a child, full time adult supervision. We reserve the right to later charge your credit card for any losses or damages beyond normal wear incurred during your stay. Smoking is permitted only on the patio and outside porches (5) of both of our Landmark Inns. As the oldest continuously operated B&B in Chautauqua County since 1986 we have always tried to support, promote and contribute to our local businesses and larger historical organizations. We are not paid members of any larger organization that selectively promotes others through their advertising or encourage individuals to promote us through paid reviews. Vacation Rentals We offer 4 suites at Candlelight Lodge and the whole of the Captain Storm House next door as Vacation Rentals by the week at a discounted price - no breakfast, only midweek maid service and no NYS sales tax, only a County Bed tax. Each has a fully furnished kitchen. Check - in is between 2 PM and 6 PM otherwise please make arrangements in advance. Please No Check -ins after 8 PM. The privacy of our guests is important and we are a Bed and Breakfast, not a Hotel and do not offer late night services. Reservations, please try to give us at least 24 hours advance notice. Many weekends are busy and present additional difficulties. We also need time to make your experience a special one. We try to confirm with email all reservations made within 48 hours. Certain reservations made within a few days of your arrival may be difficult to timely confirm. For example, we may not be able to confirm a reservation with an incorrect email address, credit card number or a wrong telephone number. Please call when you are 30 minutes from Westfield so we can meet you upon arrival and check you in. We also like to have time to personally show you the Inn, answer any questions and make you familiar with interesting places in the area to visit. Included in your room rate is an $18 breakfast certificate per couple, good at three local restaurants, personally selected that specialize in breakfast. This certificate is valid at Jack's in Barcelona Harbor next to the Lighthouse and Pier on Lake Erie (oldest gas Lighthouse on the Great Lakes), one mile from Candlelight Lodge. Barcelona Harbor is Westfield's best kept secret, walk the Pier or Lake Erie shore and enjoy magnificent sunsets. Across from Jack's is When Pigs Fly, a Barbeque Restaurant and Westfield Fisheries for fresh and smoked fish. This certificate is also valid at the Main Diner in Westfield, an original 50's diner, two short blocks from Candlelight Lodge, easy walking. Lastly this certificate is valid at the J&B Mayville Diner in Mayville NY (5 mi. ), on Chautauqua Lake and a few miles from Chautauqua Institution. These restaurants specialize in breakfast and serve from 7 AM to 11 AM and have a more complete menu. Perhaps they can help you also address a more specific food issue. Choose a different scenic location for breakfast, enjoy what you prefer and when you would like to have breakfast. If not a breakfast fan, you can also use these certificates for lunch. This allows yoy an opportunity to explore Chautauqua County, its businesses and unique shops and meet our friendly people. One night's deposit in advance or 50% of the reservation, whichever is greater - Visa or Master Card. We charge your credit card when the reservation is made. Wine Trail and many Special packages requiring tickets or other special arrangements need full payment in advance. You are responsible for your reserved stay - we have held the room for you to the exclusion of others and have made whatever arrangements necessary for you prior to your arrival. B&B's normally are booked much longer in advance. Given a much shorter period of time to rerent and the fact that you may be staying multiple nights makes it more difficult for us to fully rent the room to others. We know of no B&B that has a cancellation policy more lenient than ours. Outside of the two week reservation notice, there is a full refund of the room deposit less a minimum $25 cancellation fee per night, per room reservation. Cancellation within two weeks of your arrival, if we are able to rent the room, your full deposit minus the $25 cancellation fee will be refunded to you. If unable to rent the room within the two week notice you forfeit your deposit and 50% of the remaining balance due will be charged against your credit card. You will then be issued a gift certificate for this additional amount charged on your credit card towards a future similar stay. If you return at a later date you will lose only 50% of your original reservation. Many other B&B's hold you completely responsible for your full reservation. We specify our cancellation policy in detail and make it easy to find. Gift certificates are honored for one year only. Wine Trail and many Special Packages, we ask that you take responsibility for your full reservation due to our need to purchase tickets, hold the room to the exclusion of others further in advance and make special arrangements, etc. If able to re-rent all of the reservation will be returned, minus the cancellation fee and any other special charges.